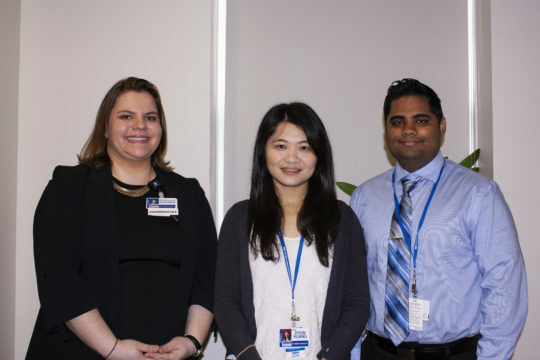 This past June, SBH welcomed two first-year general pharmacy residents and one second-year emergency medicine pharmacy resident to its inaugural clinical pharmacy post-graduate program. The general program offers core rotations in critical care, infectious diseases, internal medicine, emergency medicine, ambulatory care and pediatrics. 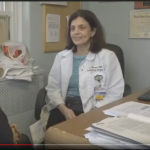 The ED program focuses six months on emergency medicine training – including resuscitation, trauma, adult and pediatric emergency medicine, urgent care, disaster management, public health, pre-hospital care, and experiences at the NYC Poison Control Center – in addition to two months of electives. Electives for both programs can be chosen from such growing areas in pharmacy practice as transitions of care, pharmacy informatics, acute surgical care, psychiatry, and oncology. First-year residents, Dr. Towfiq Majumder and Dr. Ziyun Huang, previously worked in retail on opposite coasts. Dr. Majumder, a Touro College of Pharmacy graduate, spent six years as a technician and then a pharmacy manager at Walgreen’s in Queens, while Dr. Huang spent time at CVS while a student at Western University of Health Sciences in San Francisco. Both wanted to work clinically side-by-side with physicians, nurses, PAs, medical residents and medical students, which does not exist in the retail environment. “I wasn’t satisfied with my job as a retail pharmacist; I wanted something more rewarding,” says Dr. Majumder. “I felt I could do more.” Today, a typical day for him begins at 7 a.m. when he arrives at the hospital to work up patients before doing rounds (his shift officially begins at 8 a.m.) and making clinical interventions on patients in what this month is a critical care rotation. Last year at this time, Dr. Myroslava Sharabun was doing a seven-week emergency medicine rotation during her one-year general pharmacy residency at Mount Sinai Hospital – with thoughts of specializing in critical care – when she found herself drawn to the emergency department. 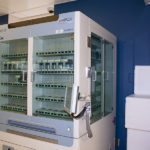 “With the ED staff often very busy, I found that I liked following up on the patient’s care to make sure their drips were titrated and their medications were administered appropriately, and being available to answer any medication-related questions the nurses, attendings or residents may have,” she says. While clinical pharmacy residencies were first offered in the 1960s, beginning at the University of Michigan, the attraction has grown dramatically in recent years. The low match rate for pharmacy graduates today proves this – as only 60 to 65 percent of pharmacists match (compared to 94 percent for U.S. allopathic graduates and 81 percent for osteopathic students). 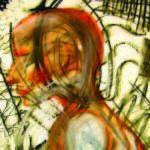 The second tier “specialty” residencies like EM date back to the 1990s and are much less common (and so even more competitive). The SBH emergency medicine pharmacy residency program is only one of three in New York State. While at SBH, it hasn’t taken long for Dr. Sharabun to adapt to the pace of a big city trauma center and provide added value, as she and the clinical pharmacists on the floor provide a different skill set to an ED team composed of attendings, senior and junior residents, nurses, and medical students.